The quest for a secure information network is on. Researchers at the Niels Bohr Institute, University of Copenhagen, have recently succeeded in boosting the storage time of quantum information, using a small glass container filled with room temperature atoms, taking an important step towards a secure quantum encoded distribution network. Sending information over long distances can be done by encoding messages into light pulses, and sending them through optical fibres. But there is loss in fibres, so amplification is necessary along the way. Repeaters amplify the light pulses at specific intervals along the line, and voila! – transatlantic communication is possible. But there is a problem: It is not completely secure. The information can be picked up, and even if it is encoded, codes can be broken. What happens when sending quantum information, is slightly different. The information itself is not actually travelling, but is teleported via entanglement distributed in the network. The sender has one half of the entanglement, and the receiver has the other half. Entanglement is much easier to create over short distances, so the line between sender and receiver is segmented and entanglement is created between each beginning and end of the segments. If each segment is capable of storing the entanglement, the line operator can wait until entanglement is created in all segments and then perform entanglement swaps at the joints to extend the entanglement to the full distance between sender and receiver. So storage is critical – and this is why the improvement of storage time now done by the researchers is so important. Only when entanglement is in place in the entire length of the line, the actual communication can take place. Along the way, it is totally inaccessible for anyone else, as the delicate quantum information self-destructs immediately if you try to eavesdrop or manipulate it in any way. The storage time comes into the picture, as it actually takes some time for the information to travel in the fibres. The delicate quantum entanglement has to be stored, waiting its turn to travel through the optical fibre. It makes very good sense to aim for a system that operates at room temperature, because of the scale of such networks. 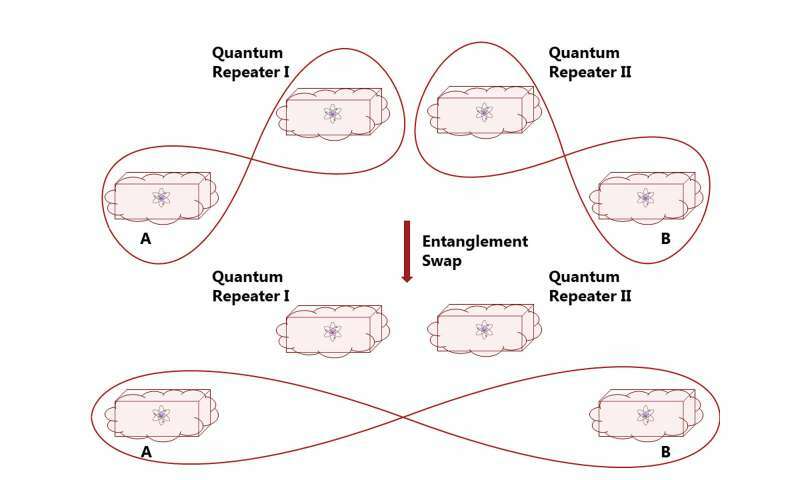 If quantum repeaters have to be deployed for app. every 10 km of communication line, the benefits of a simple setup, working at room temperature, are tremendous. The researchers at the Niels Bohr Institute have managed to boost this crucial lifespan of the quantum state at room temperature to about a quarter of a millisecond, and in this period of time, the light can travel roughly 50 km in the fibre. 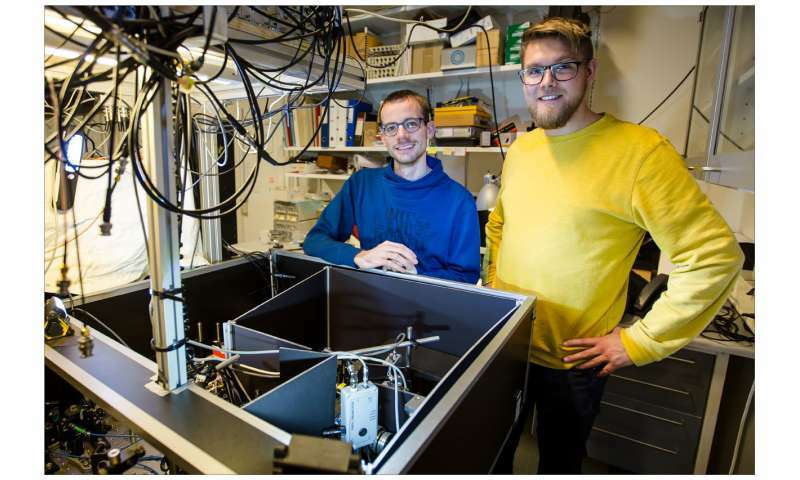 "So, 50 km – it is still not very far, if you want to send regional quantum information, but it is way longer than what has previously been achieved with atoms at room temperature", says Karsten Dideriksen, Ph.D. student on the project.